Can we talk about how cute these hats are?! I scored them off this website and I’m SO glad I caved in and bought them. 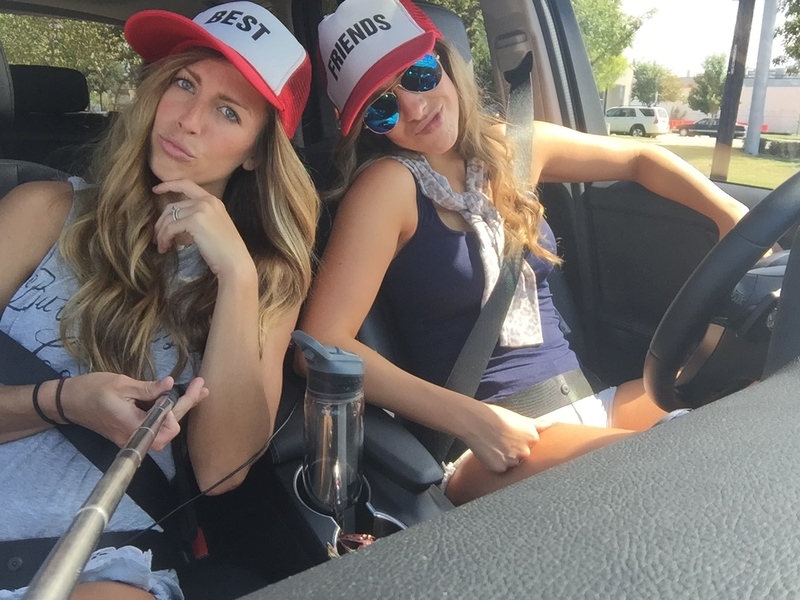 Long car rides with your bff always result in ridiculous photo shoots and music videos. You all should consider yourselves lucky that I’m not posting the videos we took. at her in laws house in Boerne, after about a 4 hour trip we FINALLY made it. And goshhhhhh it was purtyyy! start getting ready for the day! Check back tomorrow for a super cute outfit post and some wine adventures.